LA to the California Maritime Academy after it had been transferred from another state agency. 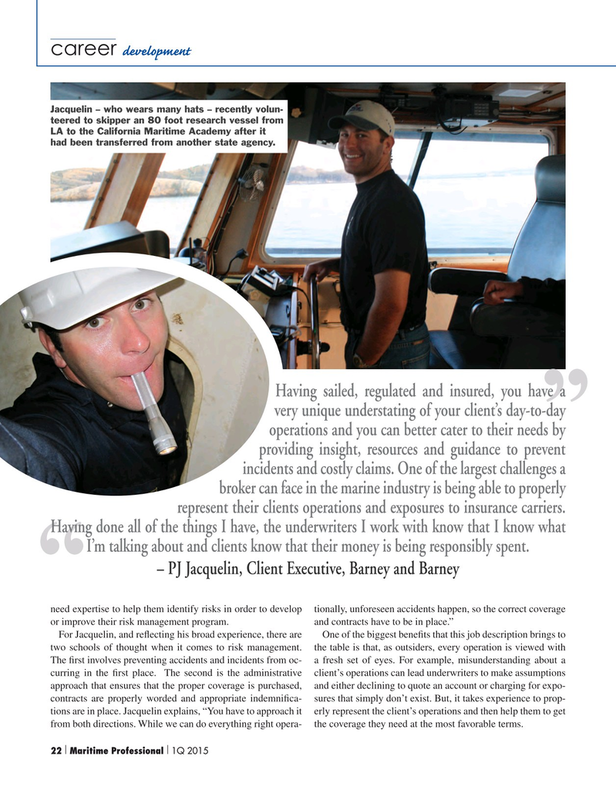 Having sailed, regulated and insured, you have a very unique understating of your client’s day-to-day ” operations and you can better cater to their needs by providing insight, resources and guidance to prevent incidents and costly claims. One of the largest challenges a broker can face in the marine industry is being able to properly represent their clients operations and exposures to insurance carriers. I’m talking about and clients know that their money is being responsibly spent.